In Dallas, Texas, we do not get to enjoy much snow, but after living in other colder states like Virginia, New York and Ohio, I still love snow and so do our kids (except for our youngest because he’s never seen it!). After reading the science and art behind each snowflake, a winter WONDERland is definitely a fitting name for a snowfall. by Mark Cassino with Jon Nelson, Ph.D. Snow begins with a speck. The speck becomes the center of a snow crystal. A snow crystal forms as it falls . . .
Ending with the most popular snow-question, “Are no two snow crystals alike?” and a fun activity, “How to Catch Your Own Snow Crystals”, this story’s combo of science and art will get a snow day off to a great start! F- How do you feel when you hear the forecast calling for snow? R- Did your know that you have something in common with a snowflake? 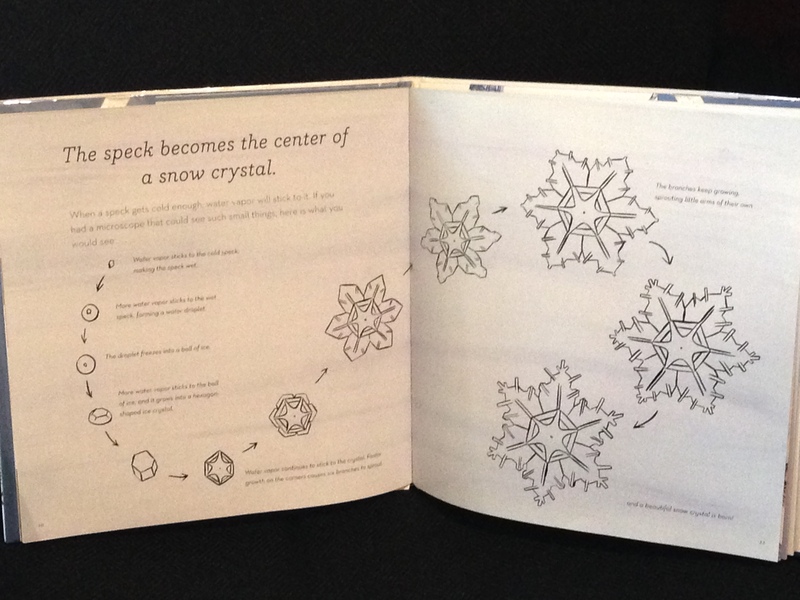 Look at page 30 to see how YOU relate to a snow crystal! I- Imagine that you are one of the kids on page 33 out in the snow catching snow crystals. Which one of “snow-catching tips” would be most helpful to you? N- Navigate your way from spec to snowflake by designing your own chart or graph and enjoy the SCIENCE of a snow. D- Develop your own snow man or have your own winter war on: http://www.agame.com/games/snow-games . . . 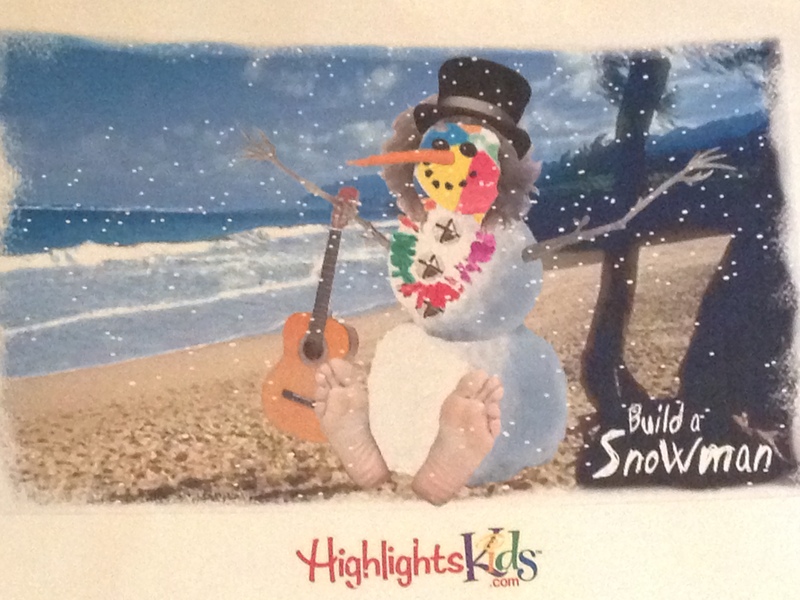 Check out my snowman on the shore below! S- Share a fun fact with a friend that you learned from this story during your next snow day! 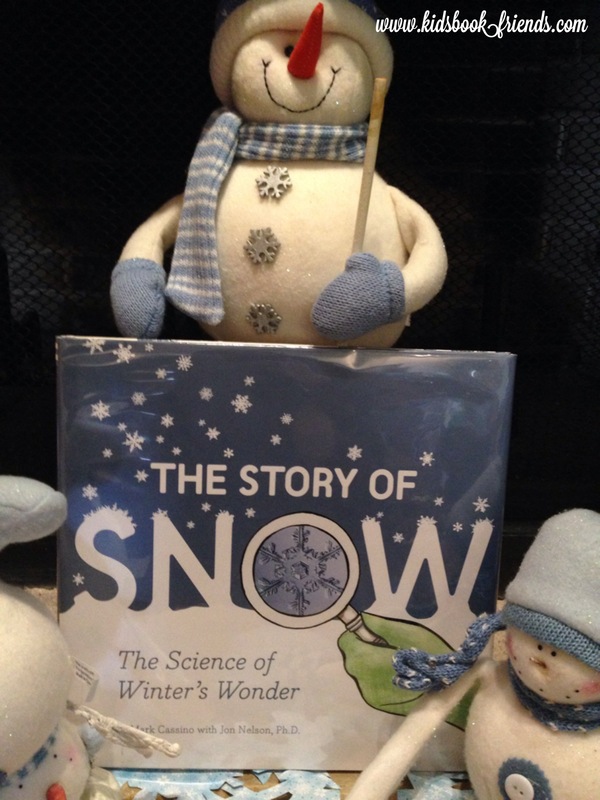 This entry was posted in science, snow, winter and tagged Catching Snowflakes, Chronicle Books, Jon Nelson, Mark Cassino, The Science of Winter's Wonder, The Story of Snow, What makes a snowflake. Bookmark the permalink.